Fit, length Center front is 9.5 inches long, the side seam is 7.5 inches long. (Your torso should be at least 8 inches long from underbust to lap). Circumferential measurements: waist is size 22 (22 inches), the underbust is 26.5 inches (4.5 inch rib spring), and the low hip is about 32 inches (10 inch hip spring). Material One main layer made of black, cotton fish-net style mesh. The boning channels and binding are black cotton twill. Construction Probably a 5-6 panel pattern, but as the corsets get larger in size, the number of boning channels increase (the number of panels do not increase, but the boning channels make it look as though there are more panels). The seams between the panels are reinforced by sewing twill boning channels to both the outside and the inside of the seam, completely covering/ sandwiching it. Binding Bias strips of black twill, neatly machine stitched on outside and inside. No garter tabs. Waist tape 1-inch wide black twill tape is exposed on the inside of the corset, anchored by the seams/ boning channels. Modesty panel Modesty panel is 5″ wide and finished in black twill. Unstiffened and stitched to the corset on one side (easily removable). No modesty placket in front. Busk 8.5 inches long with 5 loops and pins, equidistantly spaced. Slightly wider and slightly stiffer than a standard flexible busk (this one is about 3/4″ wide on each side). Boning 14 total bones not including busk (7 on each side). 1/4″ wide spirals, single boned on the seams. Two 1/4″ wide flats sandwich the grommets on each side. This is ONLY for the size 22″ (larger sizes have more bones, contact Orchard Corset for more info about other sizes). Grommets 16 grommets total, size #00 with a small flange and finished in silver. Set equidistantly (about 1 inch apart) and they are holding in well. Price The smaller sizes (up to size 32″) is $65 USD, and the full-figure sizes (up to size 40″) is $69 USD (as of 2016). The CS-201 waspie replaced Orchard Corset’s older style CS-301 cincher. I am personally cool with this, as this 201 waspie is more curvy, more comfortable, has better quality construction, and basically I like it better all-around. It contains more bones (and the number of bones increase as the corset size increases!) so it doesn’t have the fabric-buckling issue that the old CS-301 did, and it had more panels which means a smoother form around the body. If you have a very short torso but you also want a cool, breezy mesh corset to wear in hot climates or during the summer, this is your answer – I haven’t come across any shorter mesh pieces on the market! The center front dips down into a small point but still lays relatively flat against my abdomen. If you don’t have any lower tummy pooch (or if you only have a small one), the corset should fit – but if you have a longer torso or if you have a larger, lower hanging tummy, you may prefer to try Orchard’s mesh CS-426 longline corset instead which provides more control of the lower abdomen. That said, I have tried this corset under form-fitting dresses and the point did show through a little more compared to other corsets that are cut more straight across along the bottom edge. Keep in mind that these mesh-style corsets don’t last forever – if I’m wearing a mesh corset on a regular basis in the summer, I can expect it to wear out within a couple of months – this is true of all “fishnet” style mesh corsets, regardless of the brand, so it’s not a strike against Orchard Corset – it’s the nature of the fabric. The CS-201 corset is available in solid fabrics as well (black cotton and black satin) if you prefer your corsets to be a little more sturdy and last a bit longer. 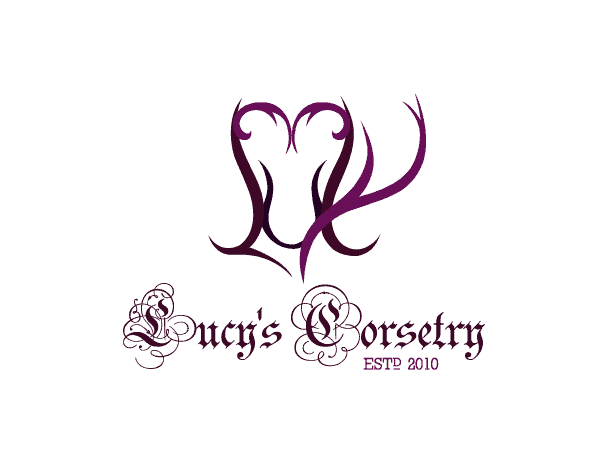 Use my coupon code CORSETLUCY for 10% off your entire order – this is a discount, not an affiliate code! I get no payment from people using this code. Learn more about the CS-201 corset here on Orchard Corset’s website. This was my 1st corset purchase. 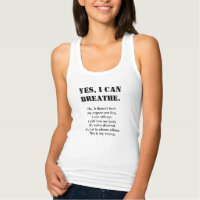 I have been wearing it for several months now. However, the top front has not seasoned to my rib cage. It ruffles out and is visible under clothing. I feel like i have given it ample time. I can tighten the top laces some. Doing so will give me less of an equal gap in the back. Additionally, my muffin top would be worse, and it is already somewhat bothersome. Any suggestions on further seasoning or modifying? Hi Cat, thanks for your comment. If your corset has too much room in the front and not enough room in the back, it might be a pattern problem (or a corset / body mismatch). But the first thing I’ll say is that it’s not the end of the world if your corset has an uneven lacing gap in the back. It’s most important that you are comfortable, and the aesthetic look of a parallel gap comes second. But the first thing I might try is curving the steels in the back of your corset, to see if it pulls the front a bit more towards your body. The second thing you can do is take in the front by pleating some of the front panels, but when you take away some circumference in the ribs, it can lead to more muffin top in the back unfortunately.